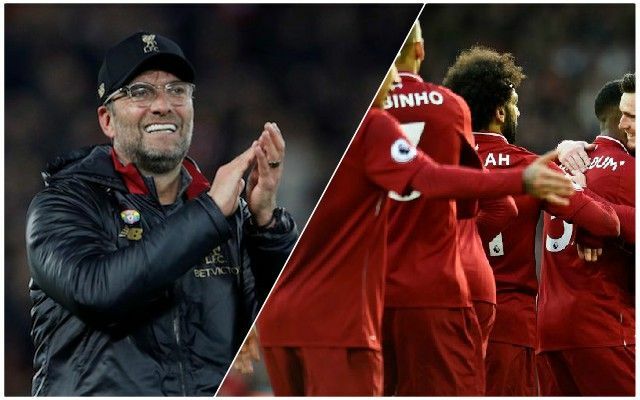 Jurgen Klopp was keen to highlight the impressive performance of Mo Salah in the aftermath of the victory against Bournemouth, singling out the Egyptian for extra special praise. Salah was far from the only high performer on an afternoon that saw the Reds retake their position at the summit of the Premier League table, but to see him back at his best was excellent. Via FourFourTwo, Klopp said: “He played an outstanding game. “It was exactly the football he is able to play and that we want him to play; very involved in things, not only scoring but in the build-up as well, sometimes dropping deep, in the half-spaces, staying wide, all that stuff. Salah became the first Reds man to hit 20 goals in consecutive seasons since Luis Suarez as he netted his 17th league strike, but as Klopp says, it was his whole game that looked good. Interestingly, this top performance came as he reverted to the right-sided role that he played more last season than this, which could force Klopp to utilise the 4-3-3 formation a little more often. Roberto Firmino, in his favoured number nine position, also looked more comfortable. Certainly, in the Champions League against Bayern Munich, going with last season’s formula seems the most likely option.